Mionix’s NAOS 7000 is a whale of a mouse. I mean, it is fat. It’s more than an inch wider than several of the mice in this roundup. This is a mouse that says “Hey, bring that palm grip over here.”‘ It’s a lot of plastic, but a lot of plastic put in service of your hand’s comfort. And comfort is what Mionix excels at. 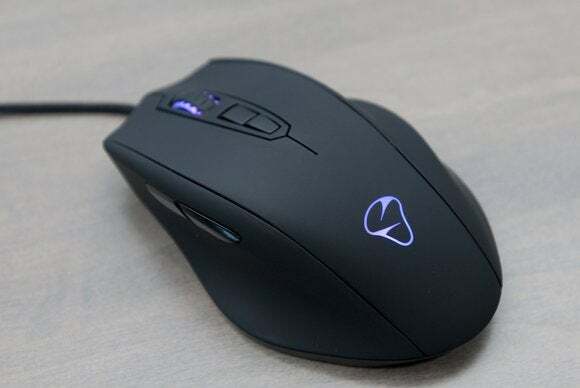 The NAOS 7000 is essentially the same mouse as the older NAOS 8200, except Mionix outfitted the new one with an optical sensor where the other one has a laser. The only change you might notice is that the sensitivity now tops out at 7000 instead of 8200 CPI, but that’s plenty high for most people’s day-to-day needs. Mionix has quietly crafted some stellar software for its back end. Installation isn’t mandatory, but it’s encouraged. Its feature include a surface analyzer, customizable liftoff distance, CPI adjustments, scroll speed adjustments, and the ability to change the colors of the LEDs illuminating its logo and mouse wheel with practically any color imaginable. If you have big hands and prefer a palm grip, you'll dig the NAOS 7000. 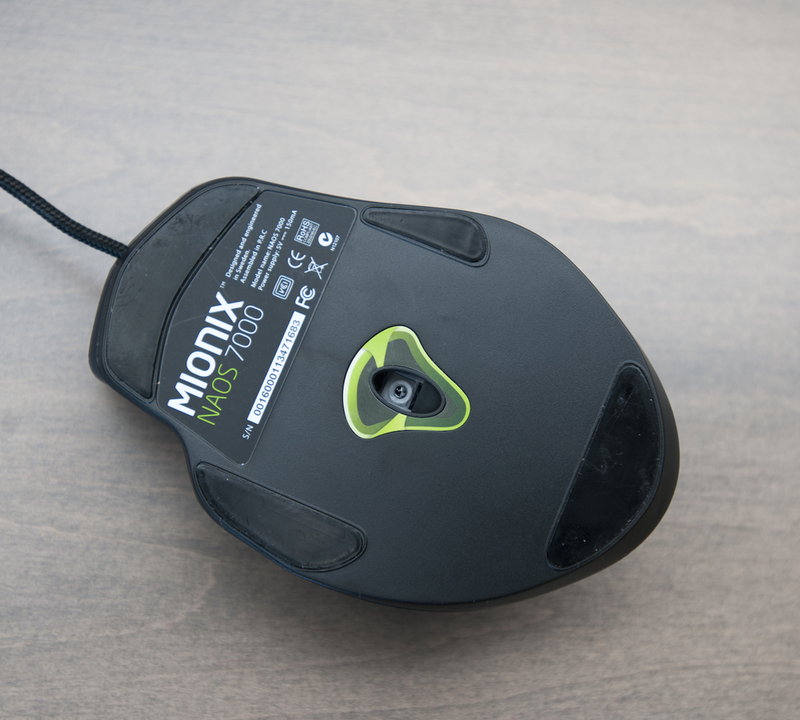 One of the NAOS 7000’s best features is its internal memory that enables you to bring your mouse to a friend’s place, plug it into his or her computer, and retain all your custom macros and key bindings. Some would argue that cloud storage has rendered local memory an unnecessary expense for storing this purpose, but I find it so much more convenient than waiting for a download. The NAOS 7000 is closer to perfect than most of the mice reviewed here, but it’s still not perfect. Scrolling is stepped, but it nonetheless feels a bit mushier than I prefer. In fact, its scroll wheel is one of the weakest in this lot, and it has an unpleasant tendency to rotate one or two steps when all I intended was to click the wheel. I also could find no way to hold the mouse with my three fingers arranged comfortably on its top. When things get tense, or in certain games where the mouse wheel is important, I like to keep my index finger on the left mouse button, my ring finger on the right, and my middle finger—you guess it—on the middle button. The sloped/ridged shape of the NAOS 7000 pretty much renders this impossible. I had to either scrunch my pinky up close to my other fingers or stretch it awkwardly to the side, neither of which I found to be ideal. Apart from those reservations, the NAOS 7000 is spectacularly comfortable, with a matte finish that feels luxurious and velvety. This gaming mouse is a solid investment for anyone who needs to operate a computer for hours on end. It’s not the least-expensive device in this bunch, but I’ve use more-expensive alternatives that I liked a whole lot less. You just can’t go wrong with the NAOS 7000.